BRISTOL - The Bristol Historical Society is presenting a program Thursday, during which Cortlandt Hull and Steve Vastola will talk trains. 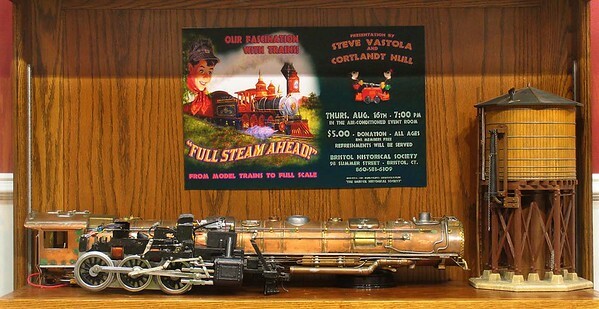 “Full Steam Ahead” will feature numerous train models and information about the history of Bristol’s rail line. The train program will be held at 7 p.m. Thursday in the air-conditioned event room at the Bristol Historical Society at 98 Summer St.
Vastola said that his portion of the program will begin when the rail line first came to Bristol in 1850 and cover the various companies that have owned it over the years. Vastola said that his program will also cover the change from steam to diesel that occurred during the Great Depression, how the rail was affected by the Flood of 1955 and the advent of the automobile. “The railroad might have seemed mighty, but it was always teetering on the edge,” said Vastola. Vastola said that the program will also discuss the “underhanded tactics” that J.P. Morgan used to bankrupt the rail line so that he could purchase it for himself. 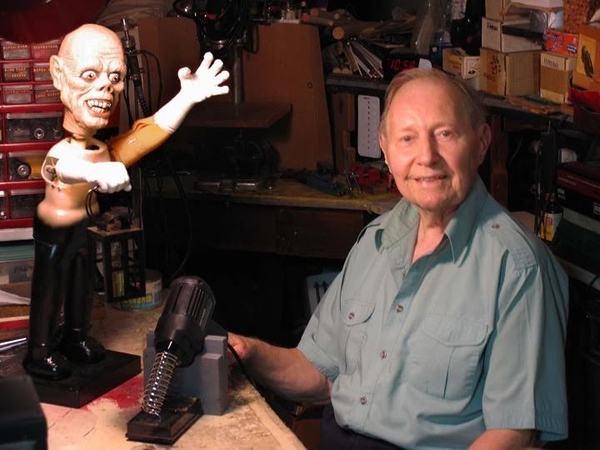 The display cases at the Bristol Historical Society will be filled with model trains built by Hull’s uncle, the late World War II veteran and model train enthusiast Louis Gagnon. The trains range from larger scale “O-gauge” trains to standard gauge trains from the 1930s. The display includes clockwork and electric trains, models made by popular companies such as Lionel and also trains which Gagnon hand-built using copper, brass and other metals. The model trains will be on display for two weeks following the program. Visitors are welcome to take photos of the display during Bristol Historical Society’s hours, Wednesday and Saturday from 10 a.m. to 2 p.m. The society has also announced its 2018 Christmas ornament. The pewter ornament, created by Rick Fitzsimons, features the Wildcat roller coaster at Lake Compounce. Built in 1927, it is the oldest wooden roller coaster in the U.S. 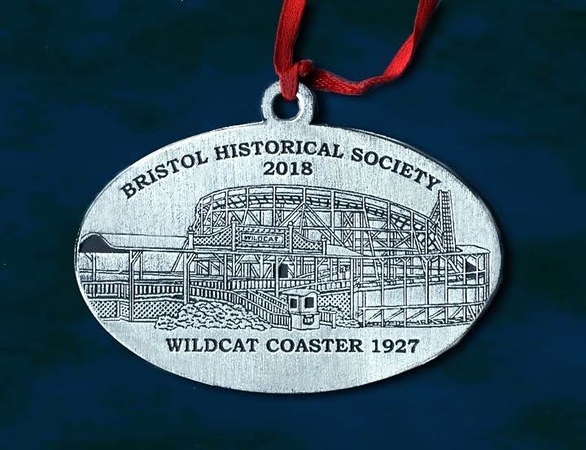 The Christmas ornament will be available for a $12 donation to the Bristol Historical Society on Saturday at Rockwell Park at The Witch’s Dungeon’s booth. Those wanting to purchase the ornament can also call Tom Dickau at 860-582-1537. Admission to the train program is $5 or free for Bristol Historical Society members. Refreshments will be served. Posted in The Bristol Press, Arts, , Bristol on Monday, 13 August 2018 22:10. Updated: Monday, 13 August 2018 22:13.